“Obstetrics, Gynecology and Reproduction” is a scientific and practical peer-reviewed journal for obstetricians, gynecologists and other experts in the area of women’s health. Our aims and priorities focus on scientific and information support to the members of the "professional community" in their pursuit of new ideas in obstetrics and gynecology research. In addition, the AGR journal proudly contributes to the continuing medical education (CME) of practitioners who specialize in various areas of women’s health including obstetrics, gynecology, in vitro fertilization (IVF) and assisted reproductive technology (ART). The impact factor of this journal, as shown in the Russian Science Citation Index (RSCI) is among the highest for the periodicals on obstetrics, gynecology, perinatology and problems of women’s health. According to RSCI, the biennial impact factor was 0.509 in 2013, 0.810 in 2014, and 0.976 in 2015. The journal publishes original articles on clinical and experimental studies, as well as reviews on obstetrics, gynecology, and human reproduction. Special attention is paid to publications on CME as well as historic aspects of obstetrics and gynecology. All manuscripts, both original research and literature reviews, are published upon a mandatory peer-review. Distribution of the printed version: Russia, the EurAsian Economic Community (EurAsEC) countries (Belarus, Kazakhstan, Kyrgyzstan, Tajikistan, Uzbekistan, Armenia, Moldova), Ukraine, Georgia. 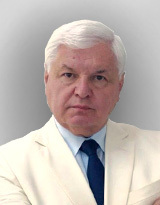 The editorial board of “Obstetrics, Gynecology and Reproduction” includes leading scientists from Russia, Austria, Great Britain, Israel, USA, Croatia, Ukraine, Georgia, and Uzbekistan. By the decision of the Higher Attestation Commission (HAC) of Russia, “Obstetrics, Gynecology and Reproduction” is included in the "List of top peer-reviewed scientific journals and publications" where scientists seeking academic degrees are required to publish their results. The “Obstetrics, Gynecology and Reproduction” journal appears in the Russian Universal Scientific Electronic Library (RUNEB) elibrary.ru and is also present in the database of the Russian Science Citation Index (RSCI). 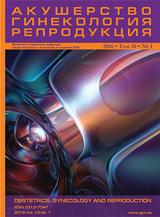 Concise versions of major articles from this journal are published by the All-Russian Institute for Scientific and Technical Information (VINITI). The journal is also indexed by "Ulrich's periodicals Directory" – a global information system of periodicals and continued publications.